In delivering chemistry courses by distance, a key challenge is to offer the learner an authentic and meaningful laboratory experience that still provides the rigour required to continue on in science. To satisfy this need, two distance general chemistry laboratory courses appropriate for Bachelor of Science (B.Sc.) students, including chemistry majors, have been recently developed at Thompson Rivers University. A constructive alignment process was employed which clearly mapped learning outcomes and activities to appropriate assessment tools. These blended laboratory courses feature custom, home experimental kits and combine elements of online and hands-on learning. The courses were designed for flexible continuous enrollment and provide online resources including tutor support, instructional videos, lab report submission, and student evaluation. The assessment of students includes laboratory reports, safety quizzes, reflective journaling, digital photo documentation, and invigilated written and online practical exams. Emphasizing the quality and rigour in these distance laboratory learning experiences allowed both courses to be accepted for B.Sc. transfer credit by other institutions, an important criterion for students. This paper will outline the design and development process of these new blended laboratory courses, their course structures and assessments, and initial student results. Brewer, S., Cinel, B., Harrison, M. & Mohr, C. (2013). First year chemistry laboratory courses for distance learners: Development and transfer credit acceptance. 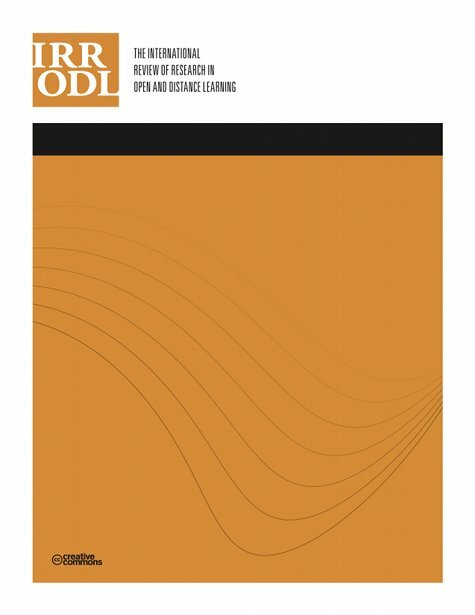 The International Review of Research in Open and Distributed Learning, 14 (3), 488-507. Athabasca University Press. Retrieved April 23, 2019 from https://www.learntechlib.org/p/148211/. Al-Shamali, F., & Connors, M. (2010). Low-cost physics home laboratory. In D. Kennepohl& L. Shaw (Eds. ), Accessible elements: Teaching science online and at a distance (pp. 131-145). Edmonton, AB: AU Press. Biggs, J. (2003). Teaching for quality learning at university (2nd ed.). Maidenhead, Berkshire, UK: Open University Press. Boschmann, E. (2003). Teaching chemistry via distance education. Journal of Chemical Education, 80(6), 704-708. Bradley, J.D., Durbach, S., Bell, B., Mungarulire, J., & Kimel, H. (1998). Hands-on practical chemistry for all-Why and how? Journal of Chemical Education, 75(11), 1406-1409. Brouwer, N., & McDonnell, C. (2009). Online support and online assessment for teaching and learning chemistry. In I. Eilks & B. Byers (Eds. ), Innovative methods of teaching and learning chemistry in higher education (pp. 123-152). Casanova, R.S., Civelli, J.L., Kimbrough, D.R., Heath, B.P., & Reeves, J.H. (2006). Distance learning: A viable alternative to the conventional lecture-lab format in general chemistry. Journal of Chemical Education, 83(3), 501-507. Domin, D.S. (1999). A content analysis of general chemistry laboratory manuals for evidence of higher-order cognitive tasks. Journal of Chemical Education, 76(1), 109-111. Downing, K.F., & Holtz, J.K. (2008). Online science learning: Best practices and technologies. Hershey, PA: IGI Global. Elliott, M.J., Stewart, K.K., & Lagowski, J.J. (2008). The role of the laboratory in chemistry instruction. Journal of Chemical Education, 85(1), 145-149. Harasim, L. (2011). Learning theory and online technologies. New York: Routledge Press. Heinze, A., Procter, C., & Scott, B. (2007). Use of conversation theory to underpin blended learning. International Journal of Teaching and Case Studies, 1(1/2), 108-120. Jackson, M.D. (1998). A distance-education chemistry course for nonmajors. Journal of Science Education and Technology, 7(2), 163-170. Karadeniz, S. (2009). Flexible design for the future of distance learning. Procedia Social and Behavioral Sciences, 1(1), 358-363. Kennepohl, D. (2007). Using home-laboratory kits to teach general chemistry. Chemistry Education Research and Practice, 8(3), 337-346. Mayadas, A.F., Bourne, J., & Bacsich, P. (2009). Online education today. Science, 323(January), 85-89. Osguthorpe, R.T., & Graham, C.R. (2003). Blended learning environments: Definitions and directions. Quarterly Review of Distance Education, 4(3), 227-233. Pickering, M. (1993). The teaching laboratory through history. Journal of Chemical Education, 70(9), 699-700. Reid, N., & Shah, I. (2007). The role of laboratory work in university chemistry. Chemistry Education Research and Practice, 8(2), 172-185. Wiggins, G.P., & McTighe, J. (2005). Understanding by design (2nd ed.). Alexandria, VA: Association for Supervision and Curriculum Development. Williams, N.A., Bland, W., & Christie, G. (2008). Improving student achievement and satisfaction by adopting a blended learning approach to inorganic chemistry. Chemistry Education Research and Practice, 9(1), 43-50.